This record has sat on my shelf for nearly half a century. 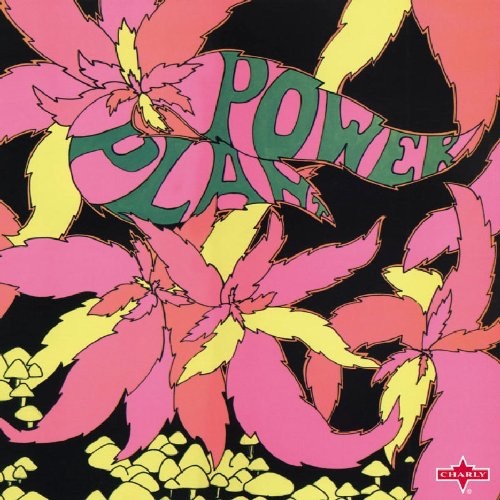 Back in 1968, when my record collection still fit on one small shelf, it already included Power Plant, the debut album by the Golden Dawn, an obscure psychedelic rock outfit on the equally obscure albeit ambitiously named International Artists label. I’ve come back to the disc countless times since then, not only because its music reminds me of another era but because every one of its 10 simple songs delivers well-hooked ear candy. Though the Texas-based band has attained a small cult following over the decades, it’s safe to say they remain unknown to the vast majority of rock fans, which isn’t surprising, given that their album sold a minuscule number of copies and they called it quits 47 years ago, just a few months after Power Plant appeared. I thought of their music as my little secret and certainly never expected to hear from them again. It arrived a few days later, and “rough but . . . interesting” about sums it up. The video alternates between a grainy long shot of the band and even grainier close-ups of Kinney, and the audio, while certainly listenable, is poorly recorded. Nevertheless, the band’s— and particularly the lead singer’s—enthusiasm comes through loud and clear; and it’s great to finally see a live performance of music I’ve only heard for so many years. If you’re among the small group of fans who have been listening too, you’ll want this DVD. If not, start with the album, which is now available on CD as a UK import, complete with the original marijuana-leaf cover art. Don’t expect the sort of groundbreaking psychedelic rock you’d associate with, say, Pink Floyd’s Ummagumma or the Grateful Dead’s Aoxomoxa. Instead, think Music Machine, Blues Magoos, Count Five, Electric Prunes—in short, the sort of material that would have fit right in on the justifiably famous Elektra/Rhino Nuggets anthologies. The songs are catchy, tightly constructed, fun and brief (only one clocks in at more than about three minutes) and they sound like a hybrid of pop and early punk with a few psychedelic sounds and references thrown into the mix. The Golden Dawn may not be revolutionary, but the fact that I’ve been listening to them for 47 years should tell you something other than that I’m getting old. Nice review. I’ve been digitizing my old reel to reel and lp collection, at least albums that are not available on iTunes or are too scratched to salvage (I like to hear an occasional pop on the digitized versions, I don’t clean them up). But your review reminded me of an album that I borrowed from a friend 50 or so years ago and recorded on to reel to reel tape, “Ultimate Spinach”. Your review of “Power Plant” inspired me and I may look for “Ultimate Spinach” and digitize the reel to reel copy.